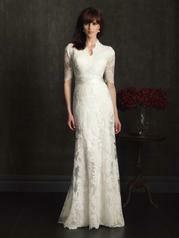 A lovely gown in all-over lace. 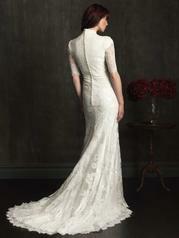 The slim, line design features 3/4 length sleeve and satin sash. Covered buttons and a chapel length train completes this style beautifully.